Baltimore owns the top-ranked defense in the NFL and is allowing only 18 points per game. Perhaps the most glaring flaw in the unit is the lack of takeaways. 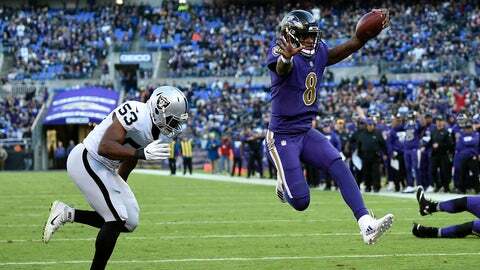 Terrell Suggs‘ 43-yard fumble return in the fourth quarter against Oakland was only the Ravens’ eighth forced turnover of the season and first in four games.